Ideal gift for your legal eagle who just aced the Bar Exam. This iconic figure stands 12" tall and is handcrafted from painted cold cast resin which could easily pass the eye test as brushed bronze. Here firmly stands Our Lady of Justice replete with scale & sword. 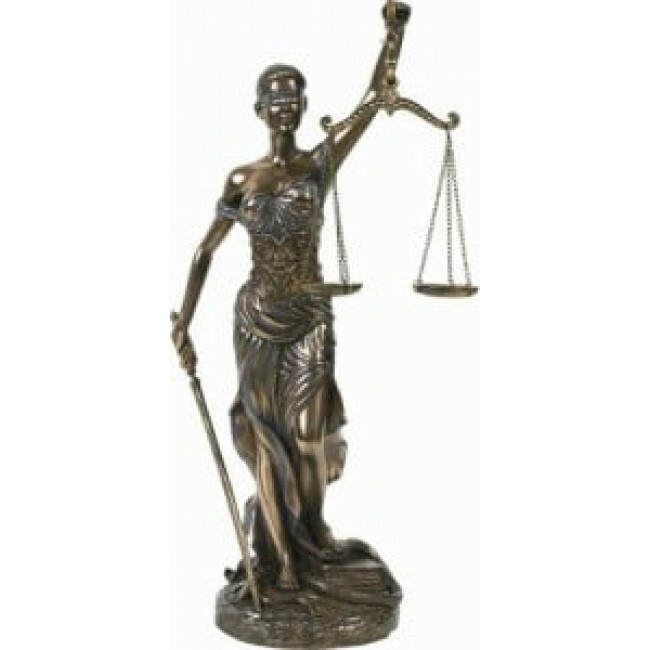 A smart conversational piece for a legal office and/or an ideal gift for your legal eagle who just aced the Bar Exam. This iconic figure stands 12" tall and is handcrafted from painted cold cast resin which could easily pass the eye test as brushed bronze.